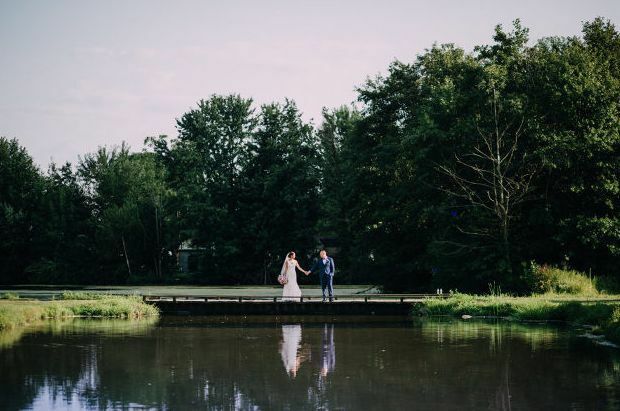 The Loft at Landis Creek is a wedding venue in Royersford, Pennsylvania. 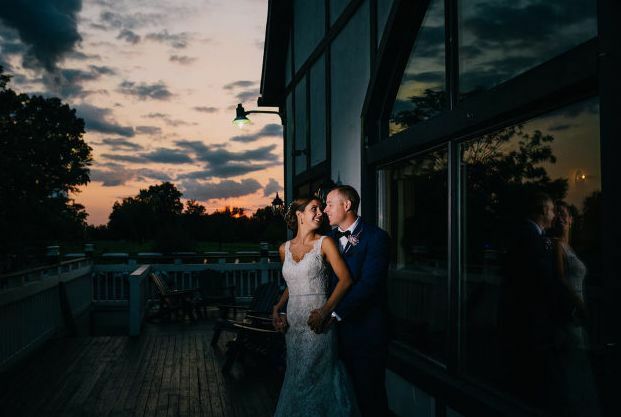 Landis Creek Golf Club is home to a beautiful wedding and event space called The Loft. 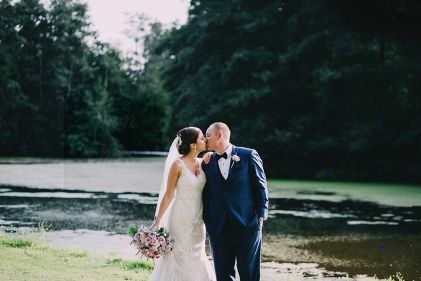 They recently changed owners and their name, but are still know for their great service, venue space, and golf course. The Loft is a charming and sophisticated space with rustic features. They are located just minutes from King of Prussia in Western Montgomery County. They have been making wedding dreams come true for more than 28 years. The grounds are well-maintained and feature trees, lush greenery and views of the countryside. They offer indoor and outdoor venues sites to accommodate all your wedding events. 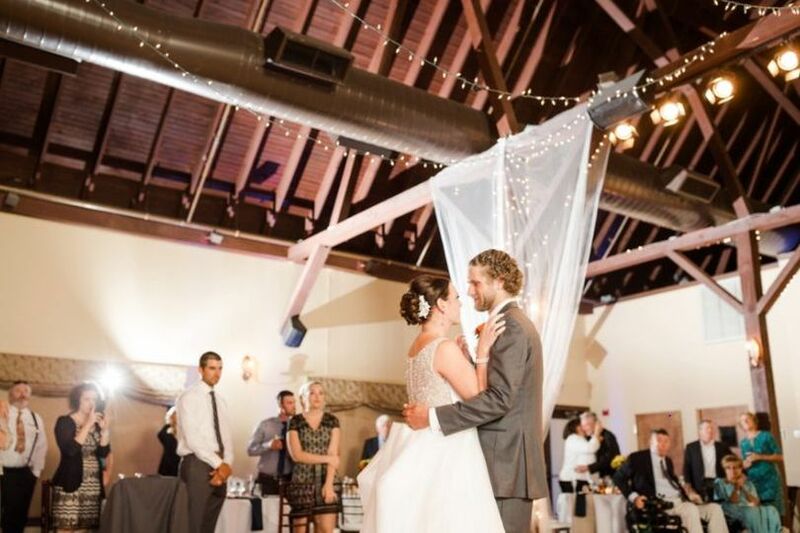 The Loft banquet room has 28-foot ceilings with exposed beams, floor-to-ceiling windows, bar, tudor accents and a dance floor. The banquet room can accommodate 200 guests for a seated dinner. Off the banquet room is a wrap around deck to take take in the stunning views and sunsets. The Eagle Room is located next to the Bar & Grille and can accommodate 50 guests. It also features an outdoor patio for relaxing for dining. 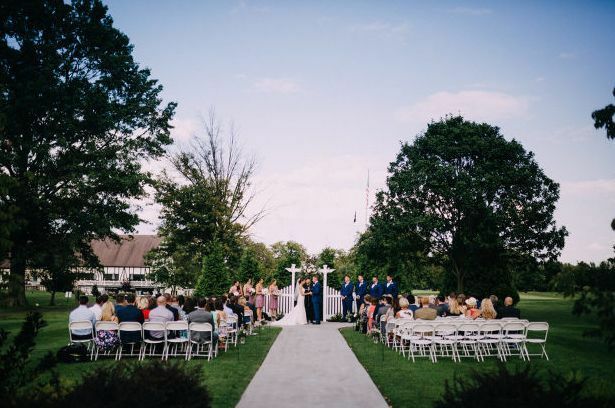 Their outdoor ceremony site was specially designed to provide a private and romantic setting. A paved path leads to lush greenery surrounding an arbor with beautiful flowers. The Loft at Landis Creek is a full-service venue that takes care of all your needs so you can relax and focus on you. They can host your rehearsal dinner, ceremony, reception, engagement party, showers, elopement and other wedding events. They offer all inclusive packages, bar and catering services, event planning, event rentals, set up and clean up. 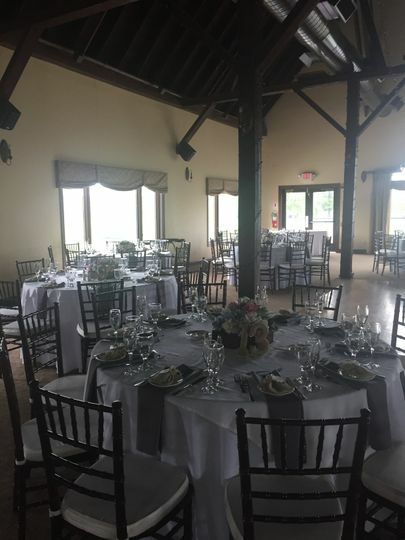 The Loft event items include altar, arch, AV equipment, centerpieces, chairs, chair covers, dance floor, decor, drapery, lighting, tables and tents. Their event staff turns your wedding dream into a reality with flawlessly executed events that flow smoothly from one event to the next. Their wedding packages can include bar and catering services or you can choose your own vendors. From start to finish the make sure your day is perfect. Jean and her staff were nothing but professional and very fun to work with! Every question was answered efficiently and details I had imagined came to real life, I can’t thank them enough. 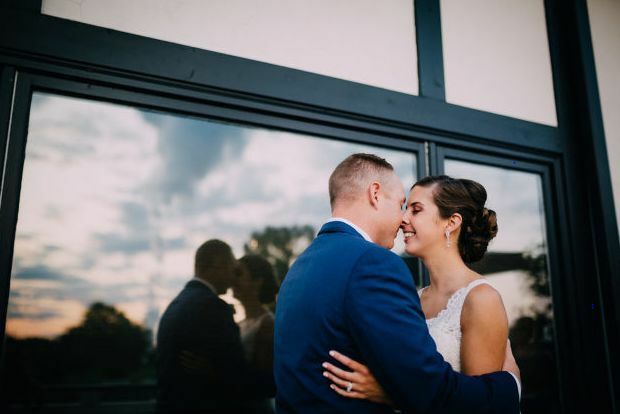 This may sound so cliché but I literally couldn't have asked for a better wedding, and a lot of this was because of the flexibility, hard work, and professionalism of the entire Loft staff. I have not one complaint of a single employee that helped make our wedding day the best day of our lives. Starting with Jean and Mark all the way to the man that drove my dad and me out to the ceremony site to walk down the aisle, I couldn't have felt any more important and valued. Jean was so prompt on emailing back all 1,000 times I bothered her with questions pre-wedding. Her personality is such a breath of fresh air in such a long and stressful process of wedding planning. She is confident, laidback yet very professional, funny, caring, flexible, and wants your day to be just as perfect as you do! Mark is just as wonderful as Jean. He is SO ON POINT with setting up for wedding day, so attentive to the bride and groom, and such a pleasure to work with. All our guests are still raving about our big day: everyone loved the food (we served salmon and Tuscan chicken) and the dance floor was packed all night. 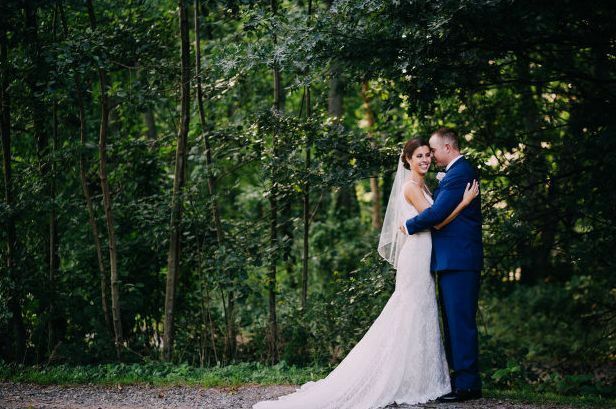 Our top 3 reasons for choosing the Loft at Landis Creek was it's country chic barn atmosphere, affordability, and the opportunity to feel valued as the bride and groom on such an important day to us. All three held true from start to finish, and I'd highly recommend the venue. My now husband and I looked at so many venues before choosing The Loft at Landis Creek. 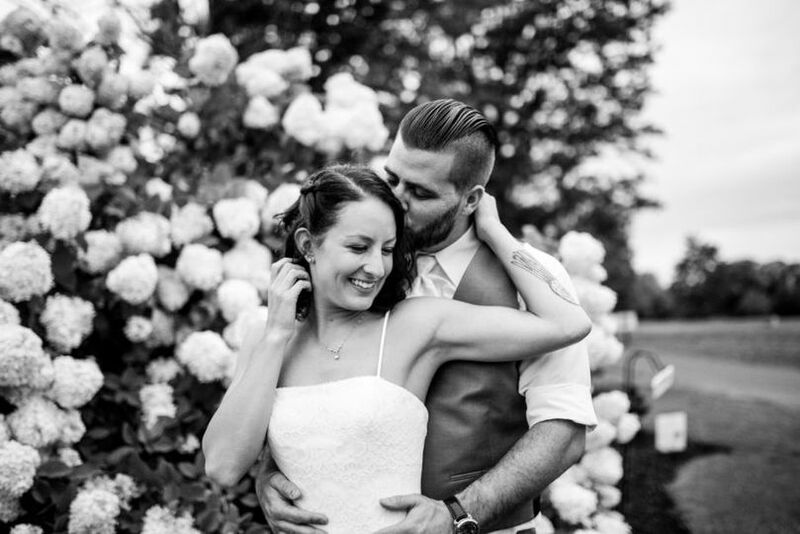 Jean was just so helpful and honest that we felt very comfortable choosing this site for our wedding. Jean always got back to me as soon as she could whenever I had questions. She is very thorough when going through the little details of our actual wedding day to ensure it is exactly how we wanted. The Loft also offers a bridal suite for the bride and her bridesmaids and I don't just mean a room, it was like a cottage where there was multiple rooms for us to roam and stretch our legs out! Jean was also there with me the whole day of my wedding and made sure if I needed anything that I got it. Mark was also a HUGE hit with us as well. He made sure my husband and I had everything we needed during the reception. The reception area at the Loft was also so magical the day of our wedding. They have log beams that they decorate with twinkle lights and lanterns. When the lights are dim and my husband and I had our first dance under those lights those pictures came out so beautiful even on cell phone pictures! The cocktail hour food and dinner was also a big hit with our guests! Everything was so good and the service of the wait staff and bartenders was excellent!